Some of you may have heard of Sunlu, usually known for supplying great 3D printer filament. 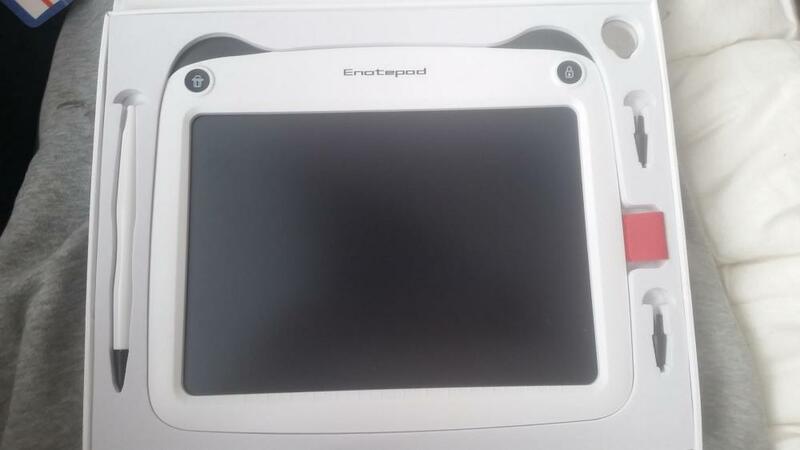 It is however little known to some that Sunlu are also suppliers of electronics, such as this LCD Enotepad writing tablet. After being asked by Sunlu Electronics to give an honest review on one of their latest gadgets, I instantly jumped onto Amazon to locate it. A light, elegant looking 9 inch electronic drawing and writing tablet... don't take the tablet part too literal though. 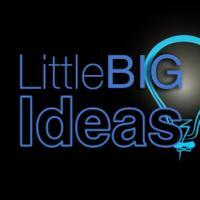 It's more of a portable notepad, as you cannot upload, share, export, save etc. After reading the description and specifications, I was a bit reluctant to take on the challenge. I had to give it a go, nothing to loose and all that. Anyway, as this item is stocked in the UK and available to order via Amazon Prime for next day delivery, I knew that I wouldn't have to wait long. 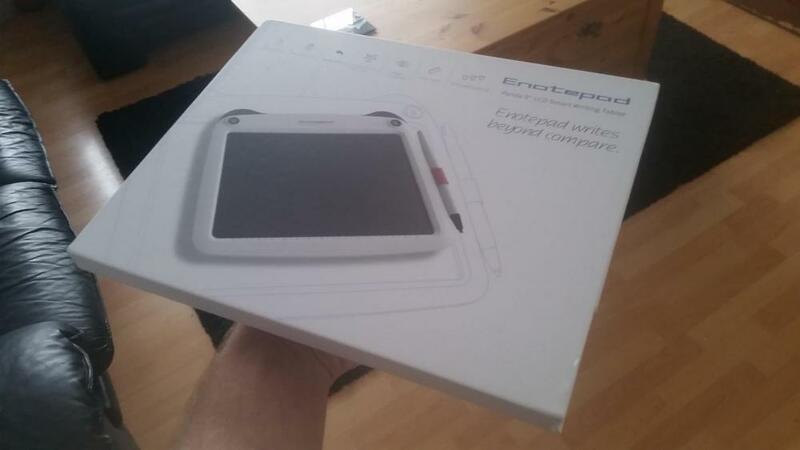 After a very efficient delivery (one day later) and the Enotepad arrived. 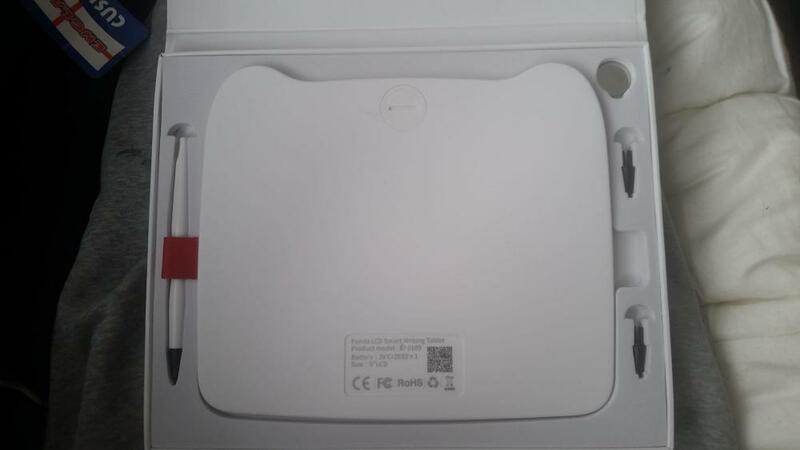 It was very nicely packaged in a good quality stiff white box with a list of features and a nice picture. First impressions were very good, although the lack of weight of this product made me question if the box was empty. Upon opening the box, I was actually impressed. The packaging's layout was nice, each part has its own little section. By parts I don't mean little electronics and case you have to put together, I mean the main parts like the Enotepad, pen - which comes accompanied by 3 changeable tips, and a spare battery. The device comes pre-installed with one battery and a spare is included. These are very common CR2032 batteries so they are easily replaceable in the future. The pen tips included a standard pen like tip, a flat type tip and a 3 pronged tip. I grabbed the pen with the standard tip and started to doodle. Impressed? I was until I moved into a shadier bit of light, to which then I struggled to see what I had doodled on the Enotepad. This didn't stop me though! I moved my bum into the garden and put the other tips to the test! Flat Tip: I thought I'd try doing some fancy calligraphy style writing, to which I failed! Not because of my lack of typography skills, but the flat tip barely worked unless held at a constant perfect angle. It did come kind of handy for shading in areas, but again this would need to be held at the right angle. 3 Pronged Tip: Just like the flat tip, it's not really very usable unless held perfect. I tried underlining a few things and it was very inconsistent. 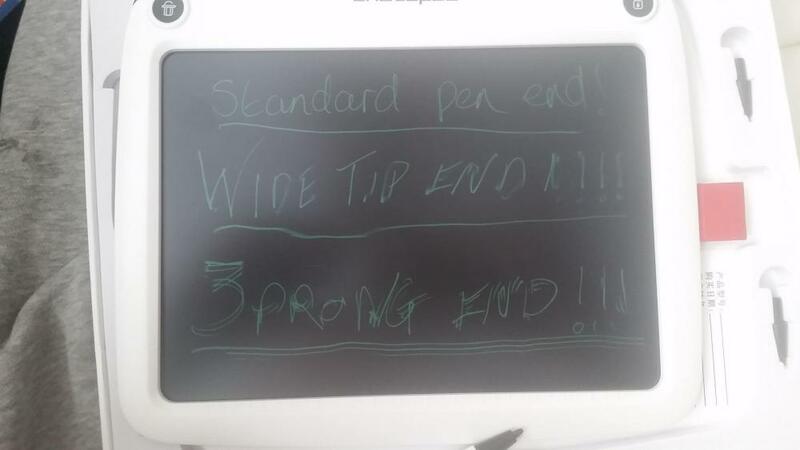 I believe the issue are the tips themselves, not the actual Enotepad. Luckily, after each test I was able to clear the screen simply by pressing the delete button in the top left. Right before my eyes, I had a fresh page! This was almost like the old magnetic boards with the swiper at the bottom. In case you don't want to wipe the screen, there's a handy lock button in the top right corner which disables the delete button from working. This lock doesn't stop you from writing on it, so make sure you don't put something too important on there and have someone scribble over it. Initially looking at the price, I would never of considered buying this product. Now for the reduced price, I would probably take the gamble. It is quite handy. The Enotepad saves the little sticky notes being everywhere or the massive amount of screwed up balls of paper from the kids. It does however seem strong and is lightweight, so it's ideal for kids! At full price, I am not gonna lie, I would have been very disappointed.